This blog post contain affiliate links. Mom Among Chaos has teamed with a fantastic group of local bloggers to provide you with a comprehensive list of local Metro Detroit Tree Lighting Ceremonies. You will find links to other counties at the bottom of the post. Make sure you share with friends! Description: Macomb Township Parks and Recreation Department cordially invites you to join us as we welcome the holiday season with our 11th Annual Holiday Tree Lighting Ceremony. This FREE EVENT begins outside with caroling, a greeting from township officials, the arrival and greeting of SANTA and concludes with the lighting of the tree. After the ceremony join us inside the recreation center for a warm festive celebration that includes visits with Santa, refreshment stations, children crafts & activities and “carol-o-ke” entertainment. Description: Downtown Mount Clemens hosts its 26th Annual Christmas Open House & Tree Lighting Ceremony on Friday, November 18. The festivities kick off at the Fountain Stage at 5:00 PM with music provided by the First Presbyterian Church Arts Academy. Santa Claus arrives by horse-drawn sleigh at 6:00 PM, and on his cue, all of the Downtown holiday decorations will be lit. Free photos with Santa will be available from 6:30 PM to 9:00 PM. Starting at 5 PM, "Santa Pass" reservations may be picked up at the Fountain Stage. Santa Passes are in half hour intervals so that families can explore the Downtown businesses and activities without having to wait in line for photos. Passes go quickly and are issued on a first come, first served basis. Other activities include free horse-drawn trolley rides and a variety of children's activities at different Downtown businesses. Many businesses will also feature sales, giveaways, and refreshments. Description: It’s the most wonderful time of the year! The City’s Christmas Tree is officially lit tonight on the Square. Experience an old fashion celebration and holiday cheer with decorating cookies, visiting with Santa, kids activity zone, music, food, and celebration. The weather is even forecasted for some snow! *Christmas Tree Lighting will be held rain or shine. Description: Santa Claus arrives on top of the firetruck. The Mayor and Santa Claus will welcome all of the good boys and girls no matter the age. 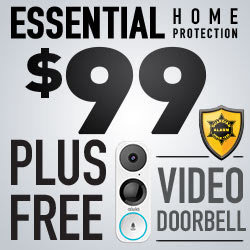 The lights will light up in a colorful display. Everyone is invited into the station for free cider and donuts. Description: Santa, in his sleigh, will go through the streets of St. Clair. He will receive the key to the city and countdown to the lighting of the tree in Palmer Park. Refreshments will be served, and visitors can see reindeer in the Candy Cane Corral. Description: Come and join us as we light up the Township grounds, welcome Santa Claus and present him with a key to the Township. Description: Join us as we ring in the Holidays by lighting up City Hall! WE will sing Christmas carols, enjoy refreshments and welcome Santa to Fraser! All ages are welcome and encouraged. Please remember to dress for the weather. Description: Help us welcome SANTA and kick off the official Holiday Season at this great family event. Join us for hot cocoa, cookies and horse drawn wagon rides on a lighted path around our beautiful Ray Township Park. Enjoy raffles, caroling and of course… SANTA! Description: Join us for two days of festive fun, all leading up to Santa arriving at 6:30 on Sunday, November 13 at 6:30 pm to light the tree! 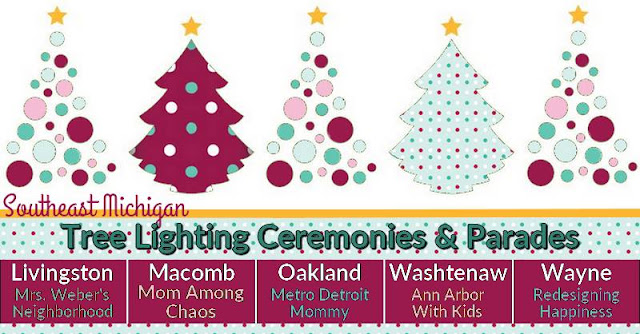 Teaming up once again with four great Michigan bloggers to bring you Tree Lighting Ceremonies and Christmas parades from all around Metro Detroit.